On February 16, 1948, Lt (Jg.) 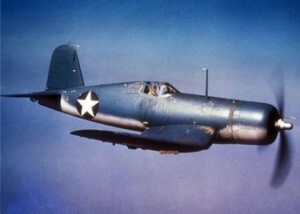 Richard Stephansky took off from Squantum Naval Air Station in a F4U Corsair for a training flight. Shortly after take off, while at an altitude of 500 feet, the aircraft suffered engine failure. Lt. Stephansky was forced to make an emergency crash landing in a marshy area along the banks of the Neponset River about four miles from the air station. He was not injured.